This is a project i worked on foa long time through different updates to get the ship to function the way i wanted to. It is an in game scale model of the Enterprise E which is why it took me so long to build. 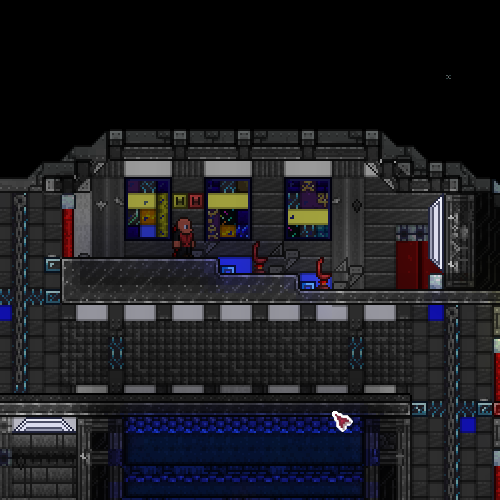 All NPC's unlocked to populate the ship but map was untouched otherwise. I added a few more details but you can find those on your own. ** You cant run both yellow alert and red alert at the same time you need to shut one off so the other will operate. ** You can enable the yellow/ Red alert from Bridge or Main Engineering however if you turn the system on at one location and off at the other it will act strange so i advise you don't do that . Have Fun exploring the ship. Copyright and stuff: "As i put countless hours into this project, it would be a kind gesture to credit me should you intend to reuse my design in your own maps. Not like i would go out of my way to hunt you down and find you Liam Neeson style if you don't. Also noteworthy that Enterprise, Star Trek, NC-1701-E are registered Trademarks of CBS Studios."